— Jackie Douglas, BRT Study Group Member and Executive Director, LivableStreets Alliance. Interactive screens with real-time data at all stops. Device-charging stations, local art, live-updating community information. Safe, enclosed stations that draw people in and offer an enjoyable experience. A new level of speed, comfort, and ease. Boston BRT presents opportunities for improvement across many aspects of transportation in our city. Particularly at the Gold Standard, BRT can unlock a level of imaginative design and advanced service beyond what we see in most rapid transit today. 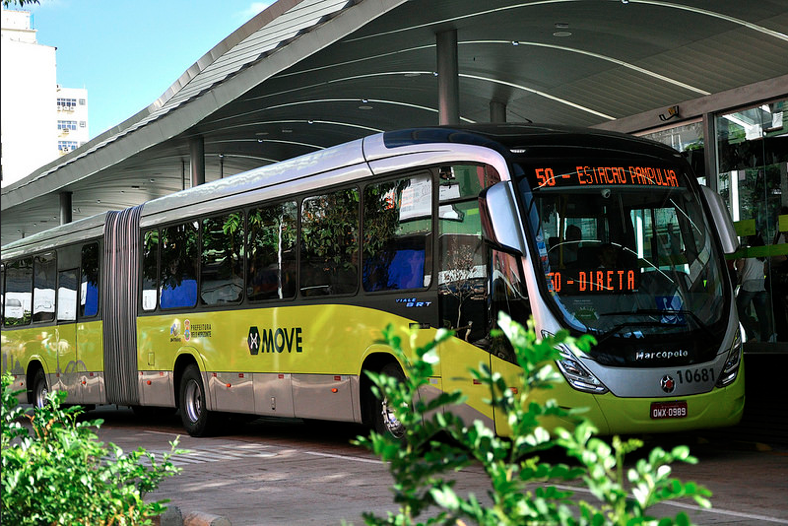 From economic to environmental benefits, Gold Standard BRT can offer a truly modern transit experience. Inspired, iconic BRT stations serve as community hubs and landmarks for neighborhoods. They also respect the identities of the existing communities, by blending in with local and historical contexts. Green landscaping helps revitalize streets. Quality design combined with effective branding reaffirms that people will find consistent, high-quality service, system-wide. Gold Standard BRT stations offer real-time information on arrivals in electronic panels, announcements, and dedicated smartphone apps. Interactive panels can calculate arrival times, display service notices, and provide valuable information on nearby tourist attractions, neighborhood history, and local businesses. Local art is one great example of a way the surrounding community can connect with BRT stations. In Johannesburg, for example, the transit authority held competitions for artists who were local to each specific station to adorn its walls. Rotating public art projects can build community investment in the corridor. Plant-decorated space, stormwater features, solar-powered stations, garbage and recycling, and water bottle refill stations all reinforce respect for the urban and natural environments.